In the ever-changing world of online marketing, new strategies are continually coming into play to give companies the edge over their competitors, and to attract new customers. None more so than search engine optimization (SEO). Business owners who have recognized the effectiveness of a professionally developed and implemented SEO strategy have flourished over the past few years, while their competitors are struggling to survive. All because their websites have gained increased visibility by having high rankings on search engine results, as well as a high Google Maps listing. Very few companies can afford the luxury of an unlimited marketing budget. As a small company, you can’t afford to waste money on ineffective marketing. You need to see results for every dollar you spend to grow your business. But facing this dilemma, you need to make the best decisions for your business; decisions that must help put your company in the spotlight and draw in new customers, while still sticking to your budget. Your best option by far would be to hire a reliable organic SEO company that specializes in low cost SEO services for small business. A company that understands the unique requirements of your business, the industry, and your budgetary restrictions. However, choosing a company that offers a low-cost small business SEO service does not mean that you have to settle for second best. In your quest to find the best SEO company for your needs, don’t be fooled by false promises. Choose wisely; choose a company with a proven success record in providing SEO services to other small companies in your industry. Before embarking on the journey with an SEO company, do your homework. Make sure you know exactly what to expect, and what they can do for you. As mentioned, find a company that specializes mainly in small, family-owned businesses. They will be much more approachable and personalize their service delivery. They will customize their services to make sure that it fits within the constraints of your budget, and ensure that you get the expected return on your outlay. To explain briefly, when potential customers use a search engine like Google, Yahoo, or Bing to search for just about any service or product, very few people ever go beyond the first page displayed. So ideally you want your business’ SEO ranking to be high enough to appear on this page, obviously the higher the better. The first page of a Google search normally comprises three sections. The first section, consisting of up to three sites, as well as the far right of the page, is normally Adword Ads that are paid for by business owners. Below the Adword Ads is the Google Maps section, which can contain up to seven listings, each of which is marked with a red balloon. They will be the top listings for the keyword that was entered. The listings directly following the Google Maps section is normally referred to as the organic section. Elevating your website ranking to occupy a position in the organic section is the aim of your SEO company, and one of the main goals of a successful SEO campaign. Adding to this, city-wide exposure is great, but ideally, you want your website to be highly visible to potential customers in your local area. 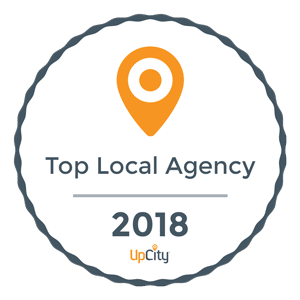 Local SEO Services are a powerful tool to achieve this goal, by elevating your page to one of the seven top spots in your area. That is why the Google Maps section is the most sought-after section for businesses to ensure they are highly visible locally and attract the right visitors. Start your journey to new riches today. Hire an experienced SEO company that you can rely on to deliver results.